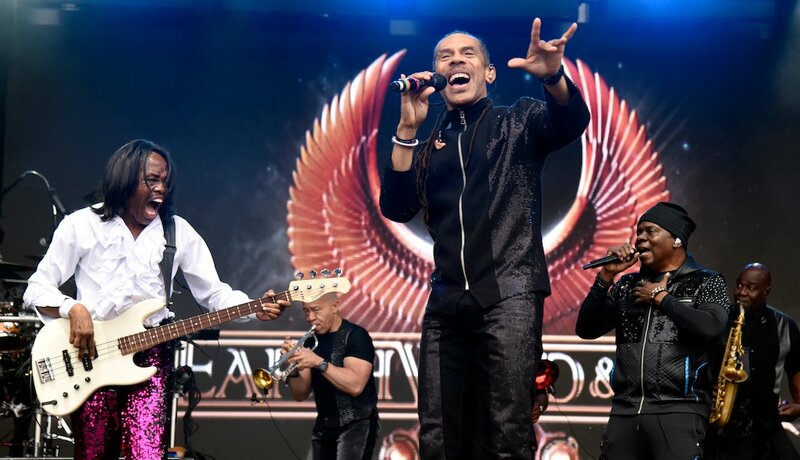 (L-R) Verdine White, B. David Whitworth, and Philip Bailey of Earth, Wind & Fire perform during the 2018 BottleRock Napa Valley at Napa Valley Expo on May 25, 2018 in Napa, California. 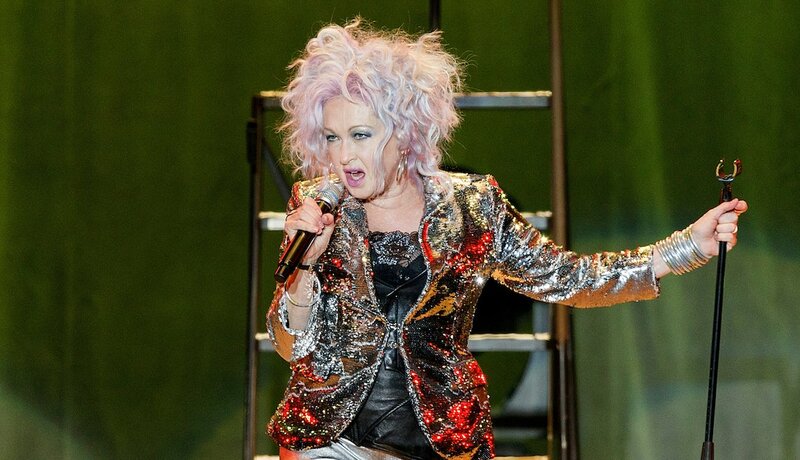 Cyndi Lauper performs on stage at PNE Amphitheatre on September 3, 2018 in Vancouver, Canada. Jay-Z performs onstage during the 'On The Run II' Tour at Rose Bowl on September 22, 2018 in Pasadena, California. 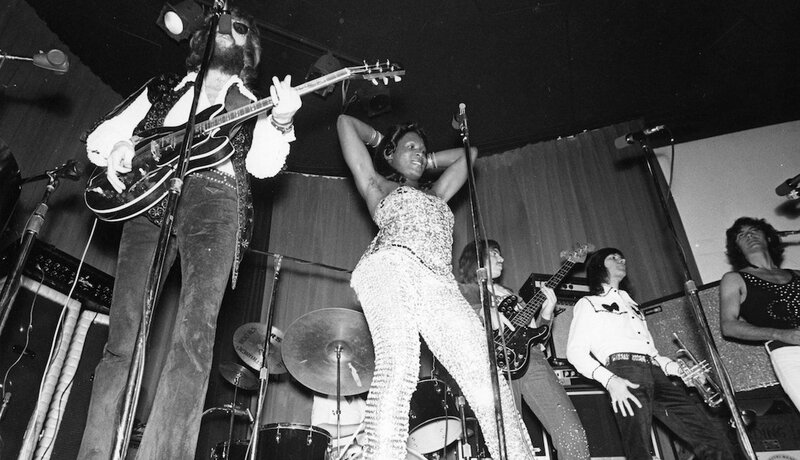 Disco singer Sylvester (center) aka Sylvester James performs onstage with his band at the Whisky A-Go-Go nightclub in November 1972 in Los Angeles, California. 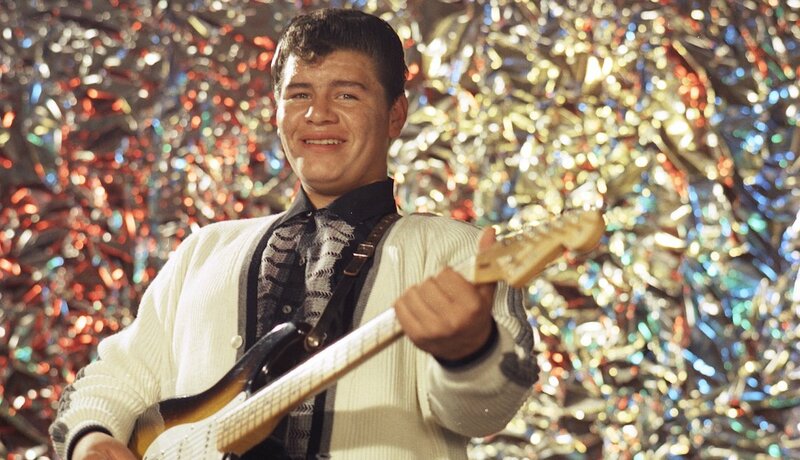 Ritchie Valens (Richard Steven Valenzuela) poses for his famous album cover session in July 1958 in Los Angeles, California. 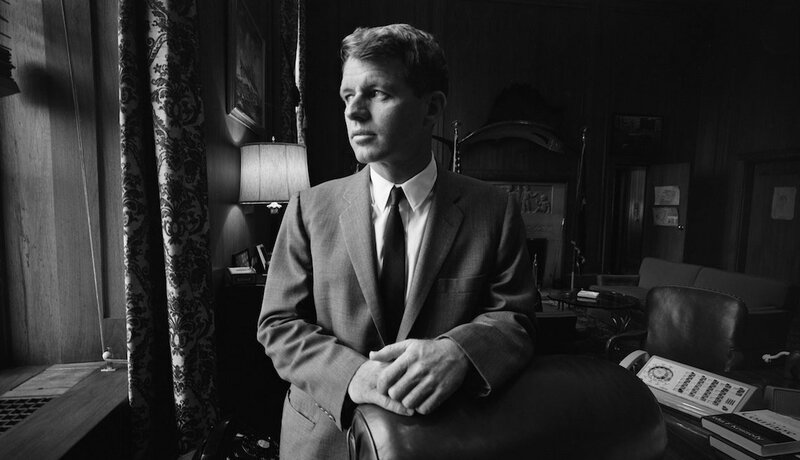 United States Attorney General Robert Kennedy poses for a portrait in his Justice Department office circa 1964 in Washington, DC. 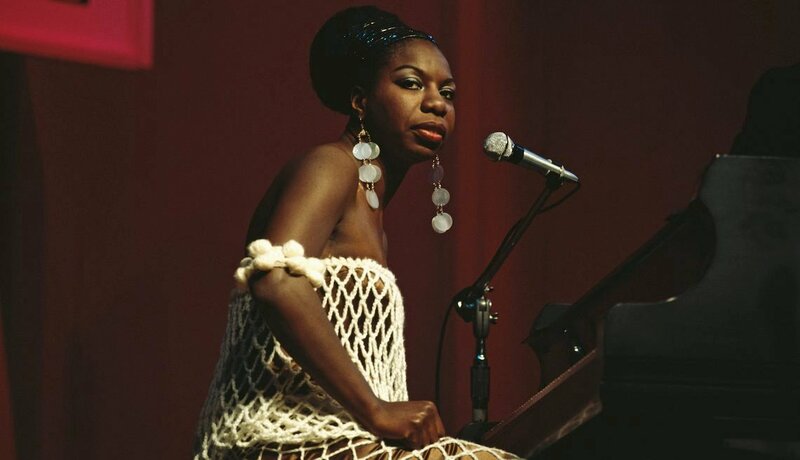 Nina Simone performs on stage at Newport Jazz Festival on July 4th 1968 in Newport, Rhode Island. 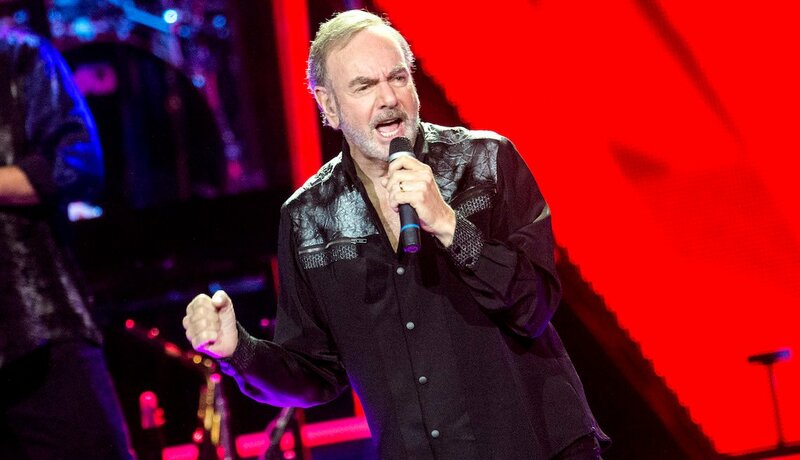 Neil Diamond performs at The SSE Hydro on July 7, 2015 in Glasgow, United Kingdom. 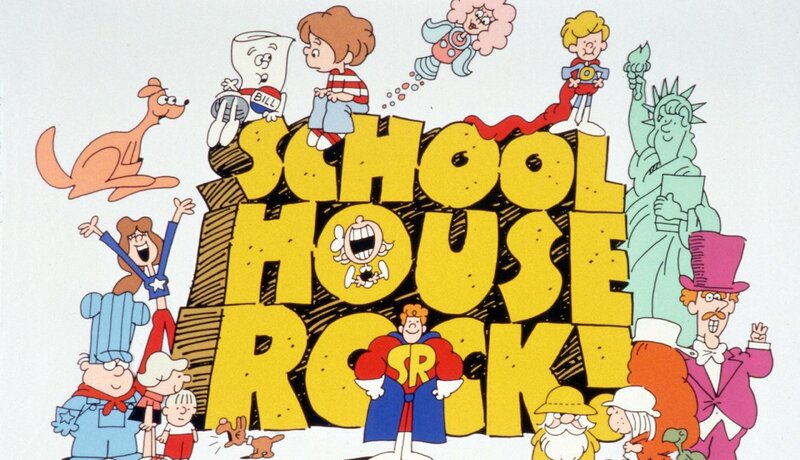 On Saturday mornings, the three-minute long Emmy Award-winning musical vignettes of "Schoolhouse Rock!" (1972-85) educated children about math, grammar, science, history and finance. 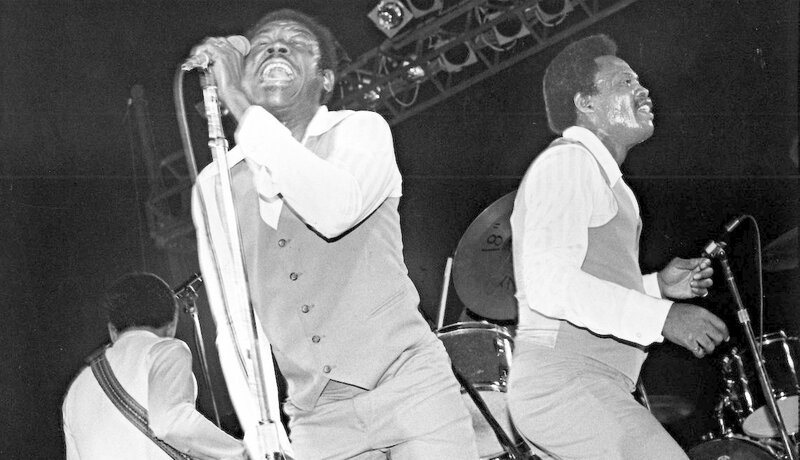 Sam and Dave at the Palladium in New York City on September 20,1979. 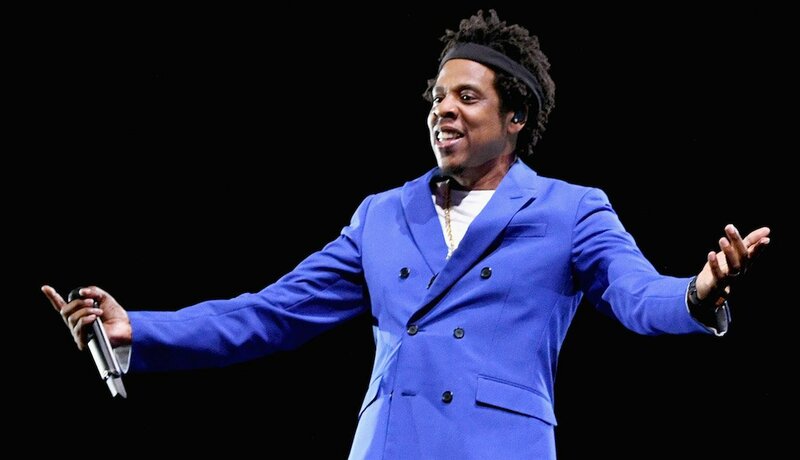 Songs performed by Jay-Z, Ritchie Valens and Cyndi Lauper, and a Robert F. Kennedy speech are among the 25 new additions to the National Recording Registry. The Library of Congress announced this week that Valens’ 1958 hit “La Bamba,” a 1952 radio episode of ‘'Gunsmoke” and the 1968 original Broadway cast recording of the musical “Hair” were tapped for preservation this year. 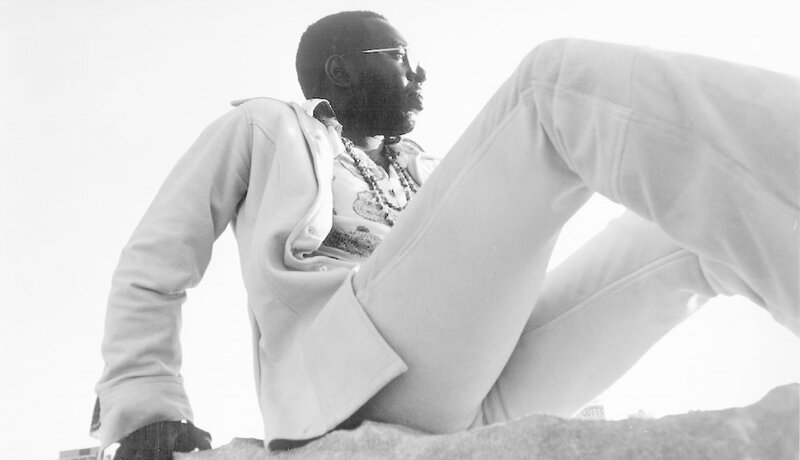 The national library chose other memorable music titles, including Neil Diamond's “Sweet Caroline,” Earth, Wind & Fire's “September” and Sam & Dave's “Soul Man." The library selects titles for preservation because of their cultural and historic importance to the American soundscape. The registry added Kennedy's speech recorded after the assassination of the Rev. Martin Luther King Jr. on April 4, 1968 — two months before the presidential candidate himself was assassinated. Musical additions include the albums “Superfly” by Curtis Mayfield, “She's So Unusual” by Lauper, “The Blueprint” by Jay-Z and the box set of songs from the children's educational television show “Schoolhouse Rock!” Other songs new to the registry are Nina Simone's “Mississippi Goddam” and Sylvester's “You Make Me Feel (Mighty Real)."